The researchers presented their results at the International Conference on Intelligent Robots and Systems this week. The MIT team — which consists of Adelson; first author Rui Li, a PhD student; Wenzhen Yuan, a master’s student; and Mandayam Srinivasan, a senior research scientist in the Department of Mechanical Engineering — designed and built the sensor. Platt’s team at Northeastern, which included Andreas ten Pas and Nathan Roscup, developed the robotic controller and conducted the experiments. 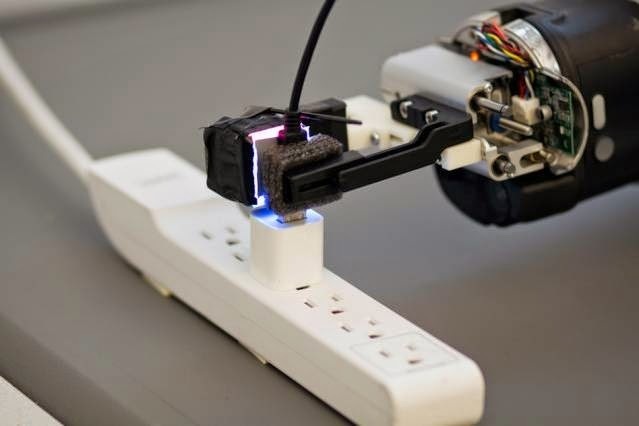 Although there was a 3-millimeter variation in where the robot grasped the plug, it was still able to measure its position accurately enough to insert it into a USB port that tolerated only about a millimeter’s error. By that measure, even the lower-resolution, robot-mounted version of the GelSight sensor is about 100 times more sensitive than a human finger. Aw, this was an incredibly nice post. Taking a few minutes and actual effort to generate a top notch article… but what can I say… I hesitate a lot and never seem to get nearly anything done. Thanks for your marvelous posting! I genuinely enjoyed reading it, you might be a great author.I will ensure that I bookmark your blog and will come back sometime soon. I want to encourage you to continue your great job, have a nice day! Previous story What you need to know about EBOLA?